We are available anytime to assist with your transportation needs. We will not try to fool you with misleading quotes filled with hidden fees. 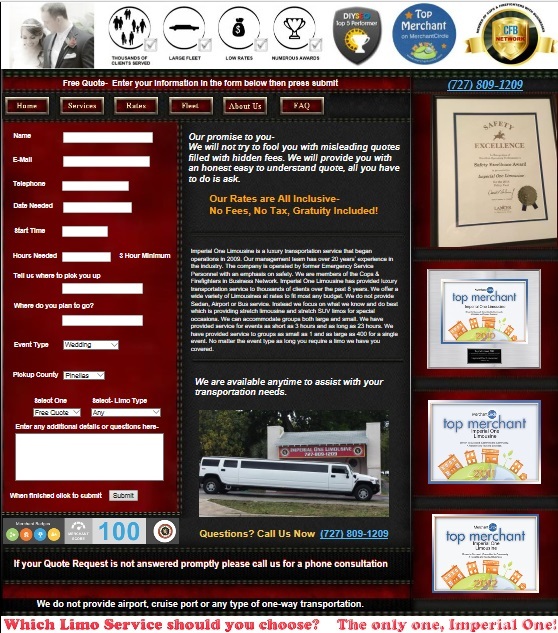 We will provide you with an honest easy to understand quote, all you have to do is ask. No Fees, No Tax and we don’t charge gratuity! We do not provide airport transportation. We do not provide single hour rentals. We do not offer Airport, Cruise Port or any One Way service. No Single Hour Rentals. Local rentals have a 3 hour minimum except for Proms & New Years Eve which have a 6 hour minimum. Orlando rentals require a 4 hour minimum. 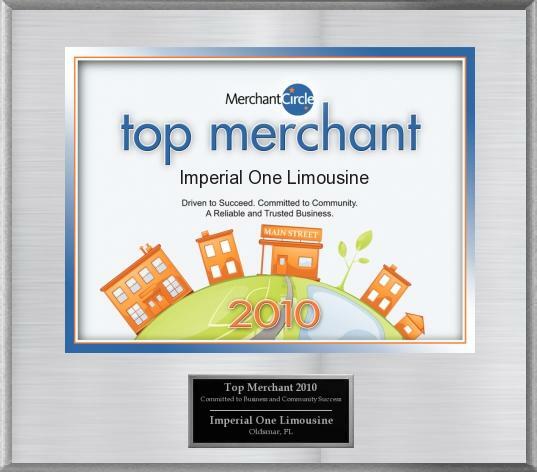 Imperial One Limousine is a luxury transportation service that began operations in 2009. 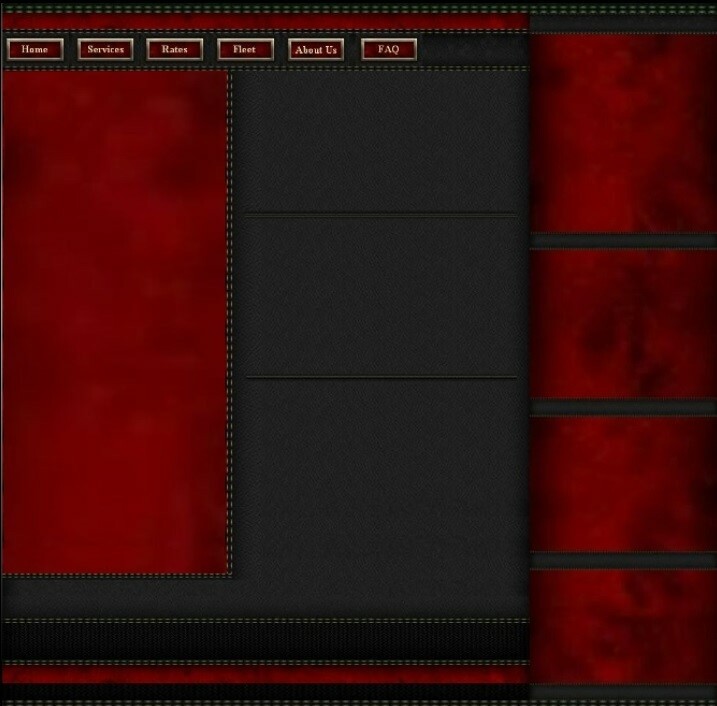 Our management team has over 20 years’ experience in the industry. The company is operated by former Emergency Service Personnel with an emphasis on safety. We are members of the Cops & Firefighters in Business Network. 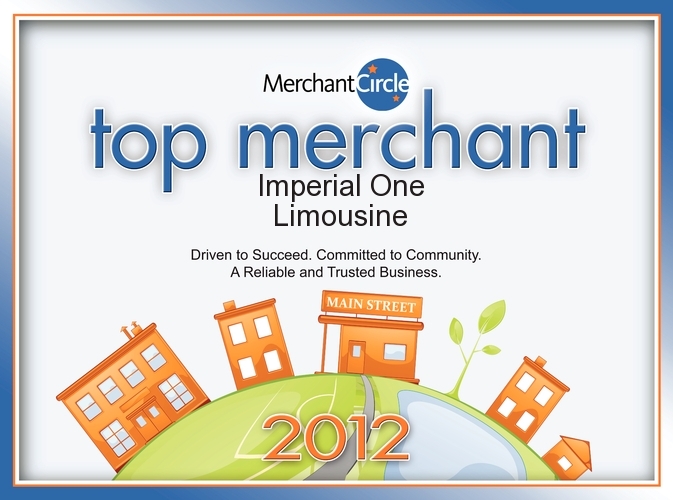 Imperial One Limousine has provided luxury transportation service to thousands of clients over the past 8 years. We offer a wide variety of Limousines at rates to fit most any budget. We do not provide Sedan, Airport or Bus service. Instead we focus on what we know and do best which is providing stretch limousine and stretch SUV limos for special occasions. We can accommodate groups both large and small. We have provided service for events as long as 23 hours. We have provided service to groups as small as 1 and as large as 400 for a single event. 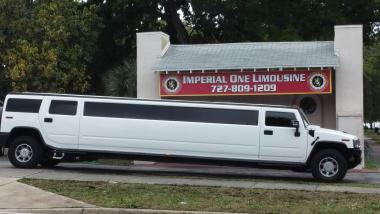 No matter the event type as long you require a limo we have you covered.